The killer smartphone launch season is far from over, as just weeks away from the fabled iPhone 4S and Samsung’s Galaxy S II, the Chinese mobile manufacturer HTC is prepping to releasing its own cutting edge man toy. Dubbed HTC Rezound, the smartphone seems even more powerful than its Apple or Samsung counterparts, that is if you’re willing to judge by its rumored specs: 4.3-inch 720p HD touch display, a 1.5GHz dual-core processor, and an 8-megapixel camera, just at a glance. Here’s something all the HTC Rhyme fans will love – it will also feature tangle-free earbuds! Recently leaked photos of the HTC Rezound, most likely intentionally released, shown as part of in-store advertising is hinting on the smartphone’s imminent release. Invites for a New York event on November 3 going out recently, complete with Beats branding, which is where it is widely believed that HTC will introduce the Rezound. The HTC phone should be among Verizon’s top Android smartphones this quarter. 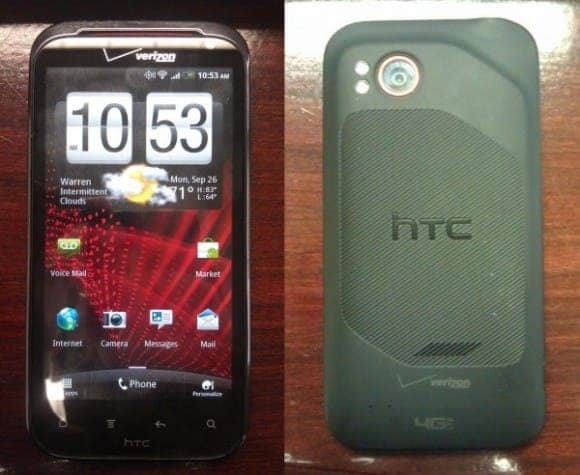 According to Droid Life, the HTC Rezound may arrive on November 14.